Accueil » » Butterflies, turacos, vanilla… a magical summer awaits you at the Naturospace in Honfleur! A holiday atmosphere has taken over Normandy… Discover the countless butterflies that live alongside many feathered guests and rare plants when visiting the Naturospace in Honfleur. While temperatures have risen significantly in Honfleur, Normandy, they remain tropical every day of the year inside the Naturospace butterfly house. Our latest summer news and events are the perfect opportunity to visit Honfleur in a unique way. A magnificent and rare butterfly species: the Papilio palinarus (Philippines). They were our first guests to establish themselves when the glasshouse opened in 1999. 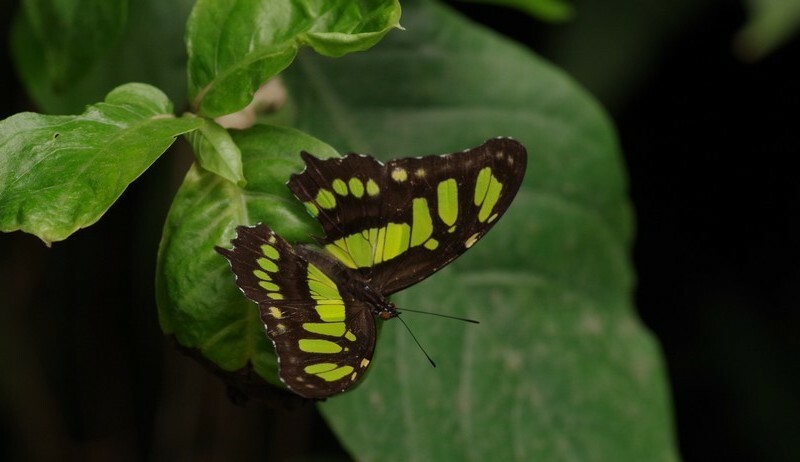 Our tropical butterflies are more abundant and colourful by the year, especially during the summer period when the hatching room welcomes many chrysalises, which each morning reveal a pair of fragile wings. A few seconds later, the butterfly flies off to discover this unique environment in absolute freedom. 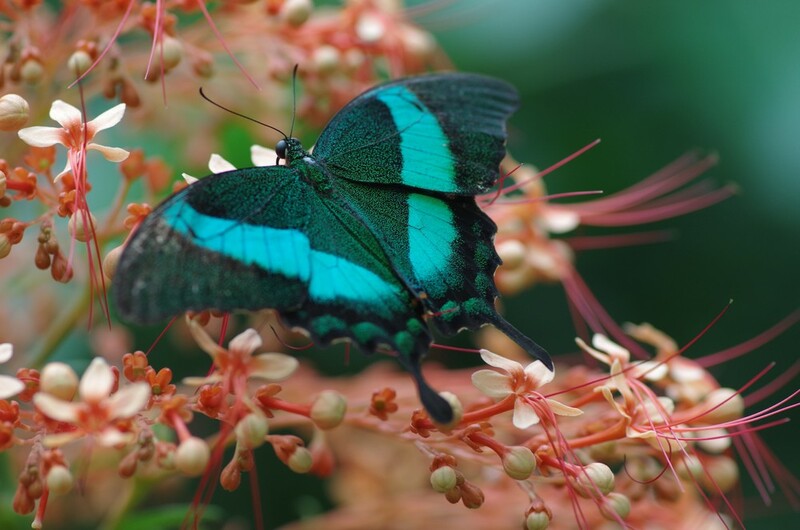 You will come across hundreds of tropical butterflies fluttering from tree to plant, landing near the places that have been specially prepared for their afternoon snack… or on your shoulders. This ensures wonderful souvenir photos! Small and large… we have new exotic birds! A pair of Victoria Crowned Pigeons flies among the tropical flowers that adorn the butterfly house. A great many visitors came to admire the baby turaco that was born in June. This winged Norman has performed its first flights brilliantly and has, day by day, come to know its way round the glasshouse. To the extent that it is growing daily and will soon overtake its parents… A baby bird that soon became a teenager! 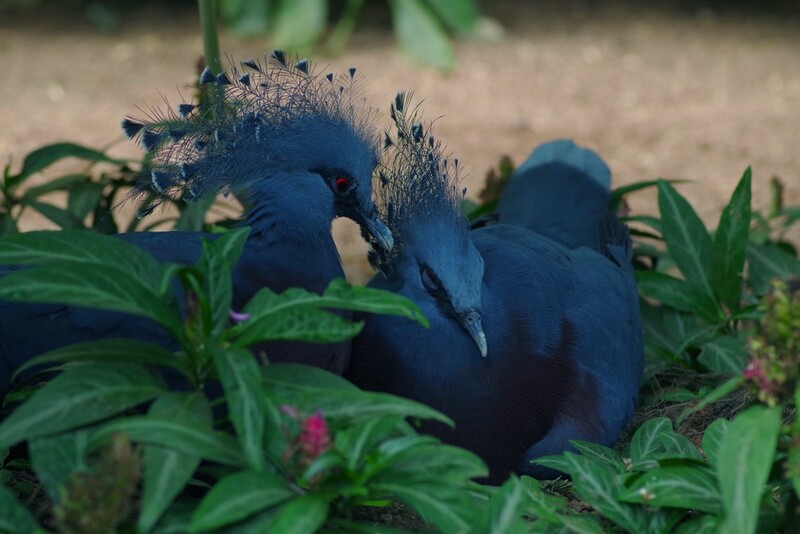 As for the pair of Victoria Crowned Pigeons, there were released in the first days of July and soon became acclimatized to our exotic zoo in Honfleur, Normandy. 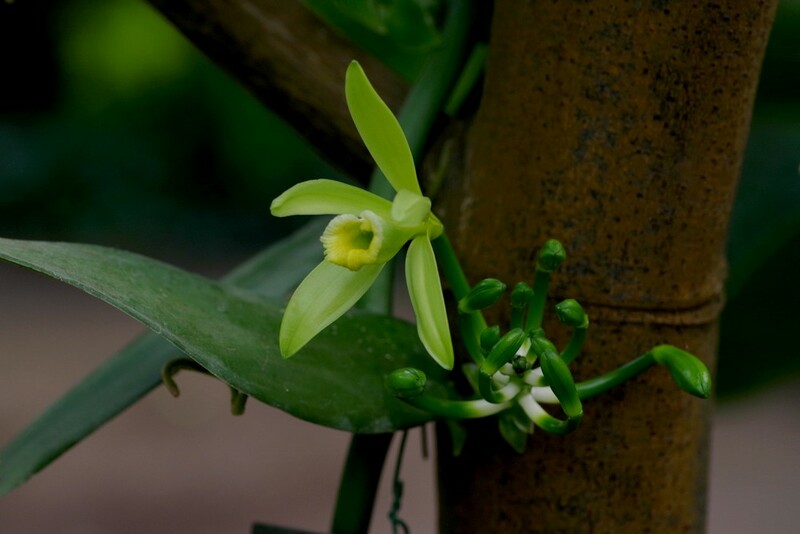 Amid our rare exotic plants, we invite the public to discover our orchid creeper which is currently in full bloom… producing vanilla clusters! After the flower has been fertilised, a pod will appear. After some preparation work, it will give rise to vanilla. Vanilla blossom in Honfleur… how incredible is that? Incredible things are always happening during your visit to Honfleur! Make the most of the Naturospace’s summer opening times: we are open daily from 10 a.m. to 6.30 p.m.